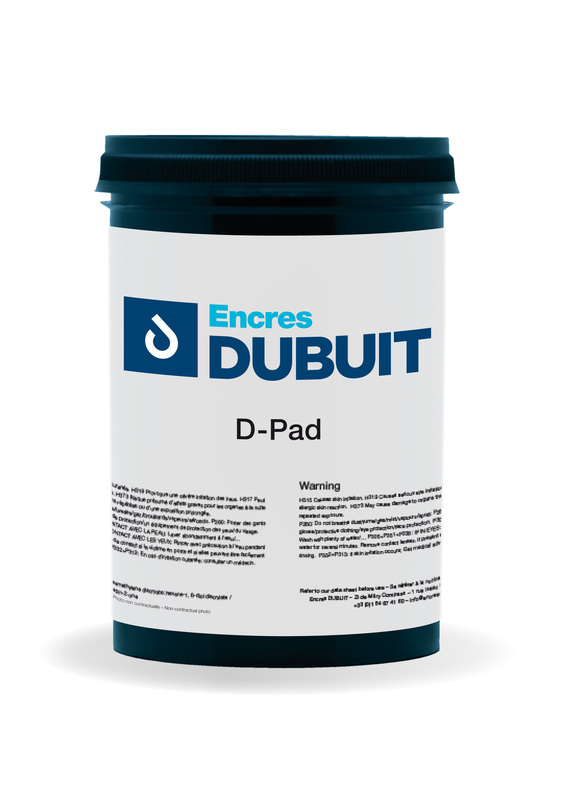 Encres DUBUIT offers solutions for indoor applications such as dials for household appliances or measuring instruments as well as solutions for outdoor illuminated signs. UV screen printing ink. The 2AMX series is a versatile ink for printing on rigid substrates. Solvent-based screen printing ink The 6800 ink series is an ink that can be used to print a wide variety of rigid media. Solvent-based screen printing ink. The 7800 ink series is designed to print on high quality self-adhesives, requiring a great resistance to outdoor exposure, and high light-fastness resistance (vehicle decoration). Solvent-based screen printing ink. The epoxy ink series 8500 has been developed for metal and glass printing. UV Digital ink. 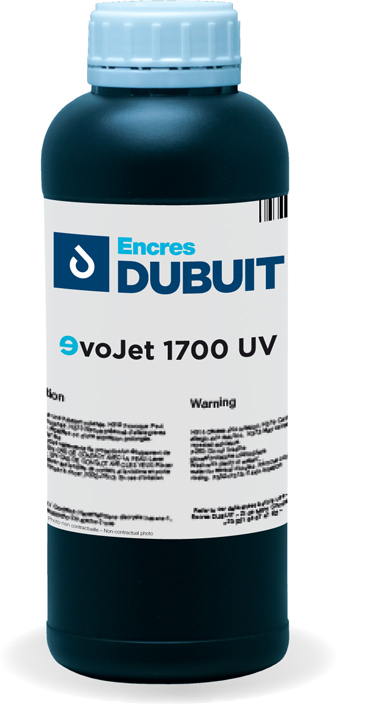 The Evojet 1700 series is suitable for visual communication on a wide variety of media. UV screen printing ink. Evopack ink series is designed for printing on soft, semi-rigid and rigid plastic materials used the container and packaging decoration. Evopack is also a very good alternative to our 2AMX ink series in the marking of front panels made of rigid plastics. 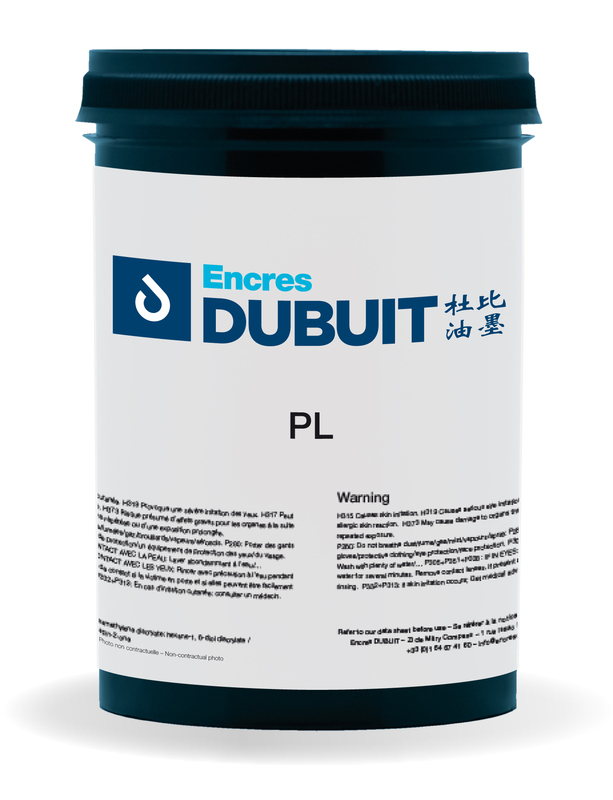 Solvent-based screen printing ink. The PL series has been developed for glass printing.